FLASH MOB @ NYSE / WALL ST. TODAY!! FREE Augmented Reality Protest Mask! Have a friend look at you with your smart phone. 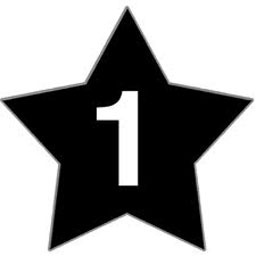 Keep the star in the camera view, move slowly. 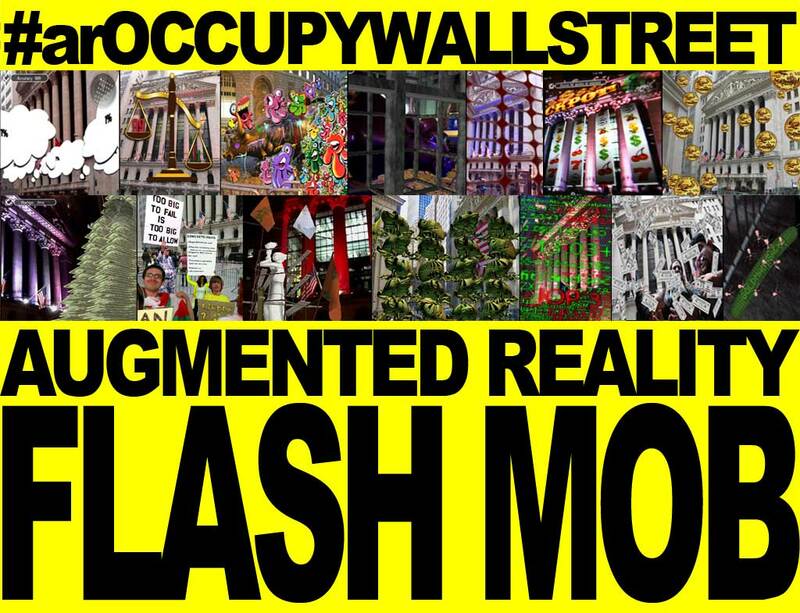 This is a special invitation to an the first ever “Augmented Reality Flashmob Protest” @ the New York Stock Exchange [NYSE] at Wall Street. The event will take place on SATURDAY Nov 12th at 4:00 p.m.
2. Arrive at Wall Street NYSE around 3 to 3:30. Participants are asked to show up at Wall Street / NYSE at least 10 mins early. 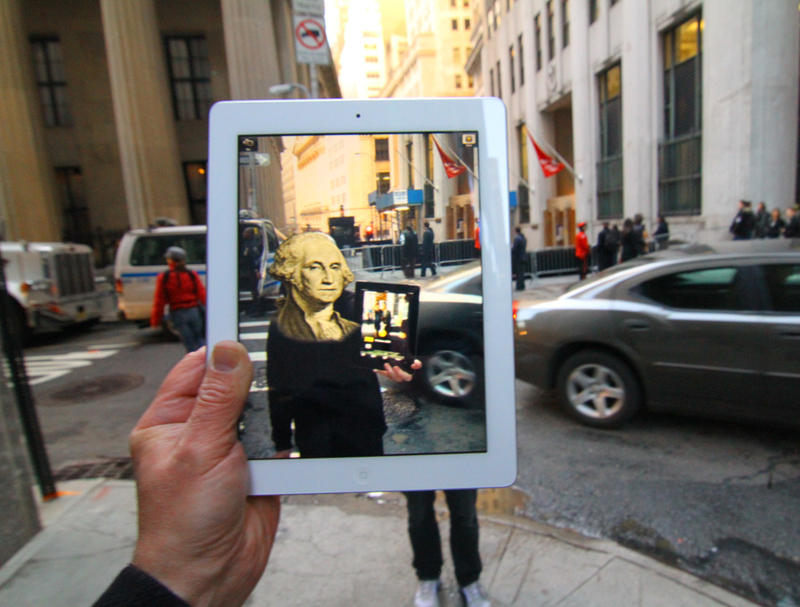 The Occupy AR Layar will have works from all the artists in one Layar. 6. A> Find a spot along the police metal fence [if the fence is still there] facing the NYSE try to get a good view of the stock exchange. Our goal will be to line the fence with Flash mobers so it’s ok if you move to different areas. B> If the fence is gone stand somewhere between the Federal Hall Memorial [looks like Parthenon] and the NYSE. 7. 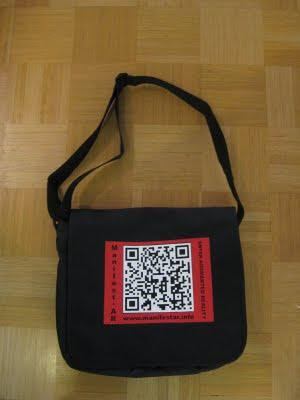 At 4:00 everyone one will load the OccupyAR Layar on the Layar app- turn your volume up slowly – don’t make it to load to attract police attention. 8. 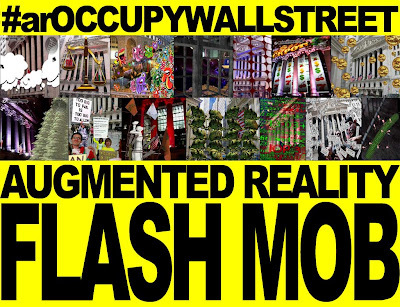 After viewing the Occupy AR Layar at 4:00 click begin to click on augments to open individual artists Layars or search the term “aroccupy”. Hold you SMARTPHONE UP [as if u are trying to take a picture] and scratch your head- A project assistant will attempt to aid you with time permitting. Once you get it working act like you are taking pictures w ur phone until 4:00. The iPad 2 is the best choice for a tablet. You can become George Washington! 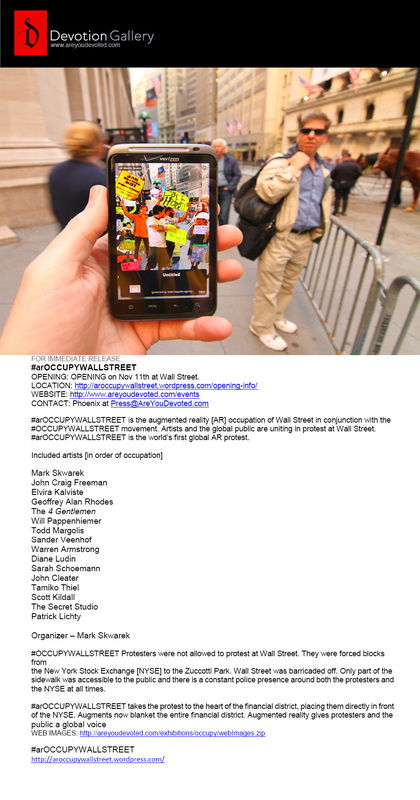 #arOCCUPYWALLSTREET Opens Nov 12th [Saturday] @ Wall Street! at 4:00 sharp!! !